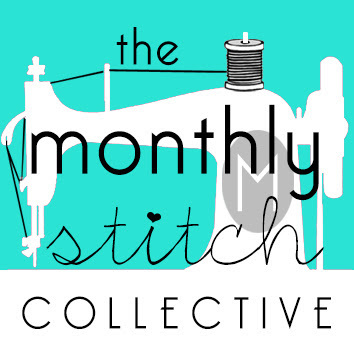 Following The Thread: 30 Days of Creativity: It's a Corker! 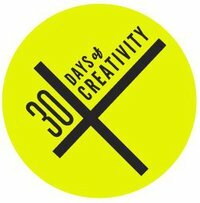 30 Days of Creativity: It's a Corker! I almost missed the beginning of 30 Days of Creativity this year! 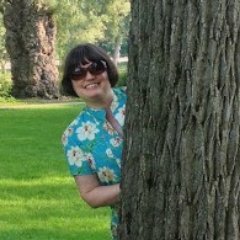 I've been so focused on reading Barbara Pym for #pymreadingweek that the first of June passed me by as a date for the start of this project -- luckily I have been making a lot of stuff in any case so I'm going to officially join in and catch up as much as possible. First off I have a really simple project that was fun -- I made some stamps for a project at work -- keeping things as cost-effective as possible! Our summer reading program is called STARR, and so I whipped up some star shaped stamps out of supplies in the craft cupboard and my own stash. 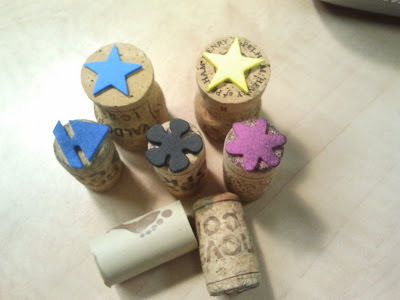 Four champagne corks (they offer a 'handle' of sorts) and four foam stickers in the shape of stars and voila! Done! Of course I had to try out a few more shapes and some regular corks to see what worked best. This was a very easy and effective project, inspired by something I once noticed on Pinterest.